In 2013, Disney brought their flagship character, Mickey Mouse, roaring back to animated life in a series of cartoon shorts that air intermittently between programming on the Disney Channel. These stylized cartoons are at once fresh and familiar, with a retro flair that is quite appealing. 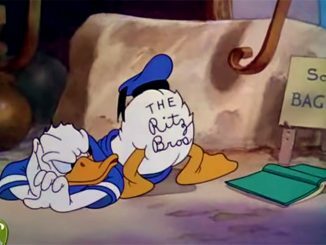 No longer is Mickey the “gosh darn it” unassailable hero that Walt Disney once dictated he be; here, he returns to his mischievous roots, and gets into all manner of trouble alongside familiar faces like Donald, Daisy, Goofy, and his beloved Minnie. And thank the gods for that, because damn, did Mickey get boring there for a while. This updated Mickey Mouse series is the brainchild of animator/director Paul Rudish, who spent much of the first part of his career at Cartoon Network, working on popular cartoons such as Dexter’s Laboratory and The Powerpuff Girls. In bringing such an iconic character as Mickey Mouse into the twenty-first century, Rudish took much of his inspiration from Mickey’s earliest black-and-white shenanigans. 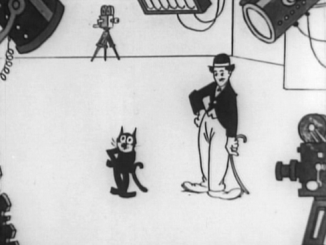 The result is a series of cartoons that is bracingly modern while reflecting a classic sensibility through the design of the characters (which hearkens back to the original models) and the animation itself, which recalls the type of surrealistic, “rubber hose” style of character movement that was a hallmark of the early days of cinematic cartooning. These new Mickey Mouse shorts are playful and just plain fun, putting Mickey and crew in a wide variety of beautifully-detailed settings, from the streets of Tokyo and New York and Paris to the frozen peaks of the Alps, allowing for some broad, truly hilarious scenarios to develop. Still, even when the characters are placed in “normal” situations in their own homes, the humor doesn’t quit. Take, for instance, one of my favorites of the new series, a short called Gasp! THIS is the Mickey we all know and love. This is the classic feel of the old cartoons, updated for a new generation. Everything is modernized and yet recognizable–the cat is a bloodthirstier version of Figaro, the fish a more savvy Cleo (see the sappy–and racially insensitive–1943 Disney short Figaro and Cleo). The slapdash insanity and creative mile-a-minute gags are reminiscent of the very best Disney shorts from the Golden Age of cartoons. I particularly adore the building gag in which Gubbles inadvertently prepares himself for dinner, stumbling into breadcrumbs and butter and lemon before flopping down on a searing skillet; the payoff shot is utter perfection. 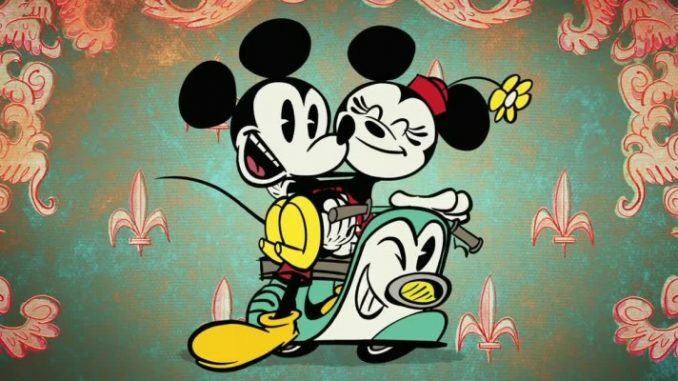 In its brief lifespan, this new series of Mickey Mouse cartoons has already garnered critical acclaim (and more than one Emmy Award) for its appealing animation and clever, abbreviated storytelling. The second “season” (if you can call it that; as our own Wade Sheeler points out, “I love how everything now is divided up into ‘Seasons.’ I always forget, was Steamboat Willie season 1 or 2?”) is currently underway on the Disney Channel, and a third has already been ordered. So thankfully, it looks as though there are many more fantastic adventures to come for Mickey and his pals. You can watch most of the shorts that have already been released online at the Disney Channel website. The first season of the new Mickey Mouse shorts was also released to DVD last month, but the set is only available at Wal-Mart stores until December (the series is not yet available anywhere on Blu-ray). The initial eighteen cartoons (through The Adorable Couple) and, strangely enough, one short (O Futebol Classico) from the second season, are all included on the disc. Additionally, the set boasts a short behind-the-scenes bonus feature about the making of this wonderful, and very welcome, new series.